7 – It would take at least seven years to plan and build a tunnel under the Mackinac Straits, according to an estimate by Michigan Technological University, if proven to be legal and feasible, while Line 5’s threat to the Great Lakes would grow larger. 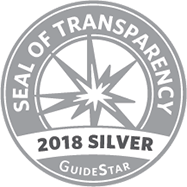 6 – A Line 5 oil spill in the Mackinac Straits could deliver a blow of more than $6 billion in economic impacts and natural resource damages in Michigan, according to a study commissioned by FLOW. 5 – The five Great Lakes sustain us, our economy, and way of life. 4 – Installing a new 4-inch diameter propane pipeline from Superior, Wisconsin, to Rapid River, Michigan, would replace the propane supply delivered by Line 5 in the Upper Peninsula. 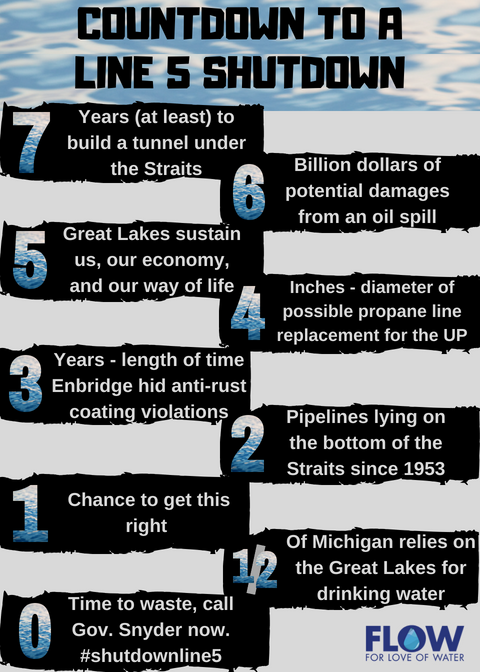 3 – For three years, Canadian pipeline company Enbridge hid from Michigan regulators the fact that Line 5 has lost its anti-rust outer coating in more than 60 places in the Mackinac Straits. 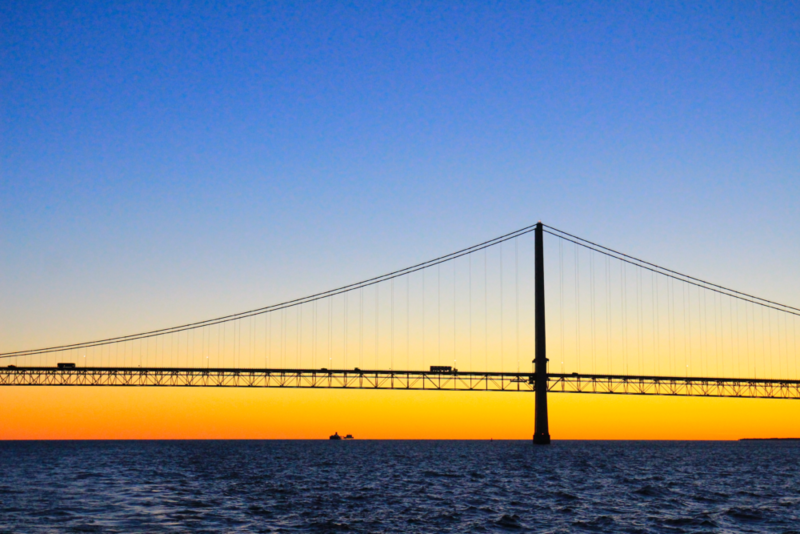 2 – Enbridge’s twin steel pipes lying on the bottom of the Mackinac Straits since 1953 are bent, cracked, dented, scraped bare of rust protection in spots, and past their life expectancy. 1 – We have one chance to get this right: Preventing a Great Lakes oil spill is possible, but cleaning one up is not. ½ – Half of all Michiganders, from Mackinac Island to the Motor City, rely on the Great Lakes for drinking water, as do more than 48 million Americans and Canadians in total. 0 – There’s zero time to waste: Tell Michigan Gov. Rick Snyder and Attorney General Bill Schuette to shut down Line 5 now! And contact your state lawmakers too. Sign the petition to oppose the creation of a tunnel alternative for Line 5. Talk to your state of Michigan lawmakers and ask their position on shutting down Line 5 in the Straits of Mackinac to prevent an oil spill disaster. You can look up your State representative here & State senator here. Sign up for FLOW’s e-newsletter for the latest update on Line 5 and other threats to the Great Lakes. Donate to FLOW to help us continue to make the legal, scientific, and common sense case for shutting down Line 5 to protect the Great Lakes and the drinking water supply for half of all Michiganders. Join the growing list of supporters for shutting down Line 5, including businesses, groups, local governments, and more. Buy a Shut Down Line 5 yard sign, hat, sticker, etc. from the Oil & Water Don’t Mix campaign.